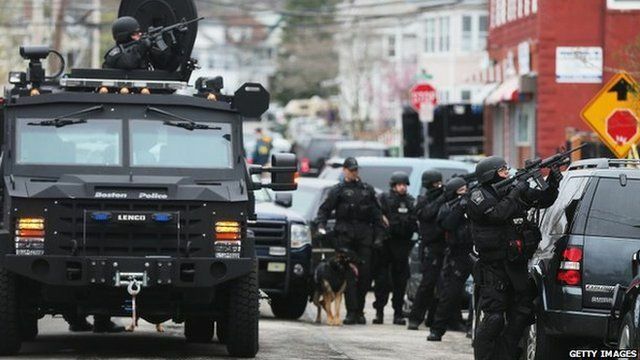 Huge manhunt for Boston bomb suspect Jump to media player Heavily armed police are searching a US town house by house for a man suspected of bombing the Boston Marathon. Public transport suspended amid manhunt Jump to media player Police have said all public transport in the greater Boston area has been suspended, as the manhunt for a suspect in Monday's marathon bombings continues. 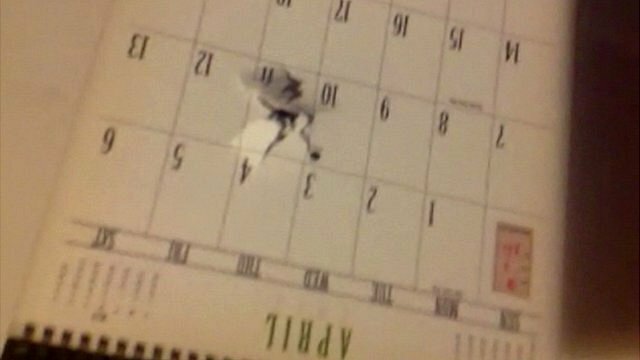 'Bullet came through my wall' Jump to media player Watertown resident describes explosions and gunfire during which a bullet came through his wall, piercing his calendar and chair. Watertown resident films gunfire Jump to media player A resident of Watertown near Boston has filmed the gunfire and explosions heard while police chased the marathon bomb suspects. Large parts of the city of Boston remain in virtual lockdown amid a major manhunt for one of two brothers suspected of bombing the city's marathon on Monday. Dzhokhar Tsarnaev, 19, remains at large after he escaped a shootout in which another suspect, his brother Tamerlan Tsarnaev, died. 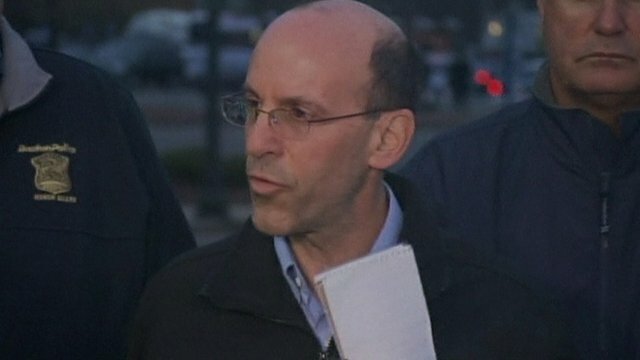 Col Timothy Alben of the Massachusetts State Police said officers in Watertown were searching "door to door, street to street" for the suspect, but there was as yet no word on his whereabouts. 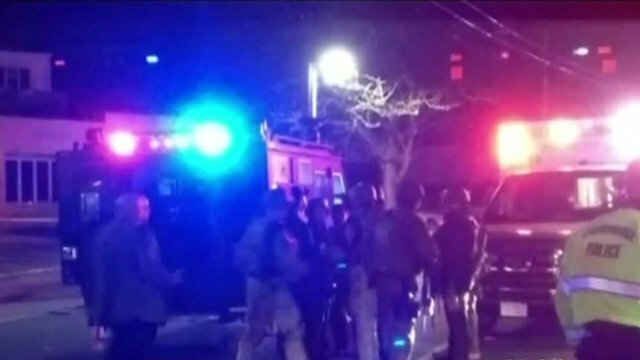 Police said they had searched 60-70% of a locked-down area of a Boston suburb.